GREENVILLE — The conviction of a Greenville man in the death of his toddler daughter has been affirmed in the 2nd District Court of Appeals. 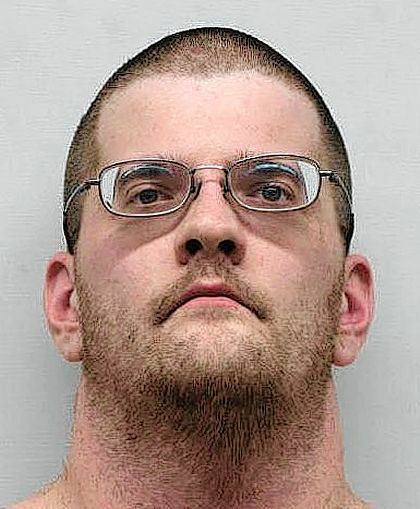 Scott Webber was found guilty of involuntary manslaughter in connection with the death of his 16-month-old daughter for giving her the adult sedative, ZzzQuil. He also was found guilty of child endangering. The offenses were merged, and Webber was sentenced to three years in prison, followed by five years of mandatory postrelease control. Webber was sentenced in June 2014 to three years in prison for involuntary manslaughter after his daughter was found dead in a crib filled with clothes and stuffed animals. An autopsy revealed that she died of asphyxiation and that she had been given an over-the-counter sleep aid intended for adults. Webber’s wife, Lauren Jones, admitted at trial to giving the child ZzzQuil under her husband’s orders. Webber appeared via video link in Darke County Common Pleas Court in April seeking supervised release, which was granted. At that time, Judge Jonathan Hein warned the man not to fall back into the pattern of “ignorance, arrogance and laziness” that had led to his daughter’s death. Webber was to reside with his wife in Celina upon his release.